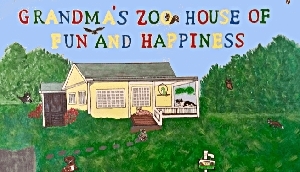 Clearly Susan's Custom House Signs are one of the most fun signs to paint. We usually get a request for us to paint the customers own house, so they can have Custom Welcome Signs to greet their guests. We love to add whimsical features to the sign such as animals as pets and the kind that lurk in the woods. Let us know what you would like on our Custom House Sign and ....email me support@clearlysusan.com. 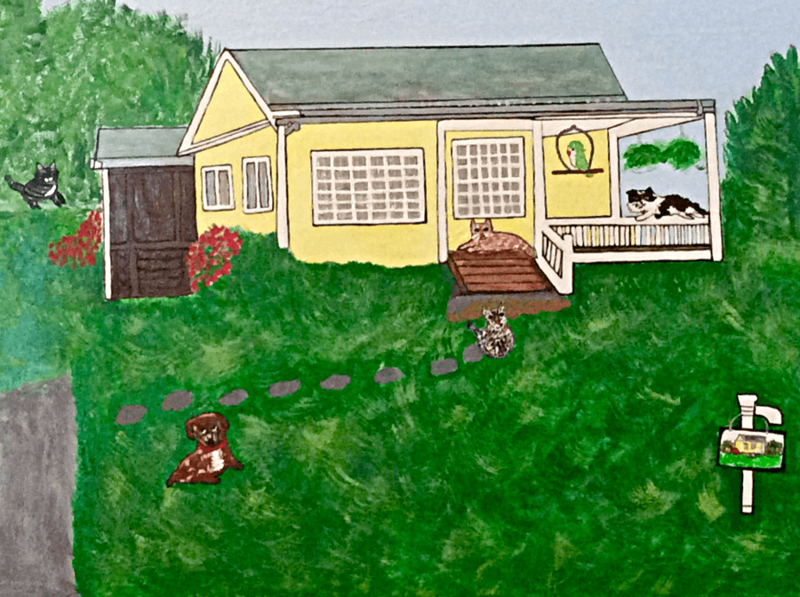 These custom yard signs was for a delightful client named Gail and she had a special request. She had 3 cats, a dog and a Quaker green parrot. Well, I had to look up what a Quaker green parrot looked like and he is just as cute as he can be with very feathery feathers! 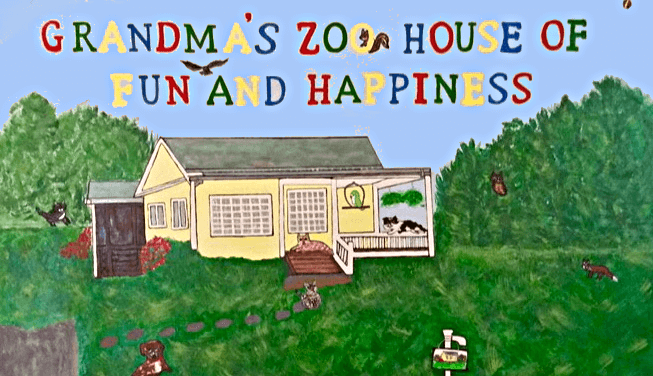 Anyway she stated that her sweet grandkids called her house "Grandma's Zoo House of Fun and Happiness". I bet it is! We also added a few kritters in the letters and background to her Custom House Signs. Let us create personalized garden, yard signs to make your home and yard so inviting.We hand paint wood or metal custom house signs of any type that are custom painted and personalized.We prime the metal first and then hand paint with metal paints and then spray several times with a sealer to protect from the weather. We also hand paint plaques of any size in wood or metal. and unique to relay whatever message you want, we will gladly offer you custom signs personalized just for you.